Air cushioned light stands, keeps your lights from free falling, prevents damage to your lights. Extends up to 10ft, weight 4lbs. 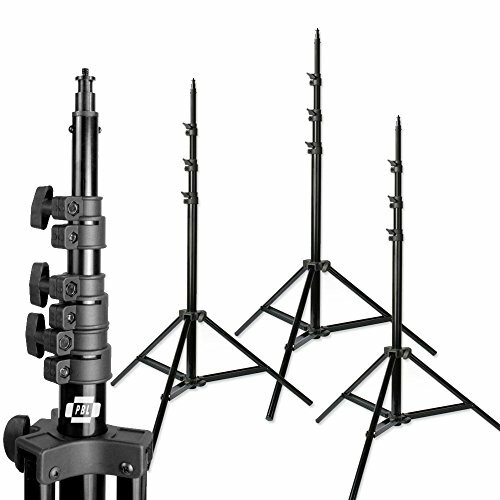 Non-glare black anodized finish, light weight durable aluminum tube construction, non-slip tips on legs to prevent movement. 5/8in universal light stand adapter, 1/4in top thread, closes down to 38in. Wide leg footprint, makes this stand very secure, holds loan up to 16.5lbs. Thanks for looking.